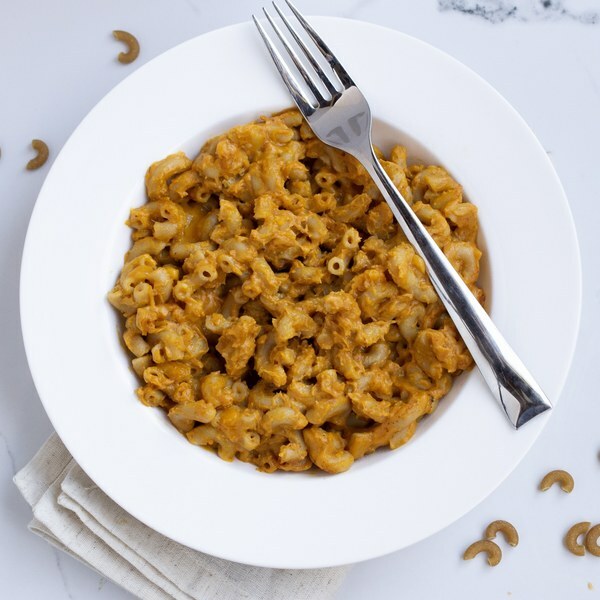 ← Brown Butter Pumpkin Mac & Cheese. While pasta is cooking, melt butter in a medium saucepan over medium-high heat. Stir, cooking until butter has browned, about 3-4 minutes. Watch it carefully so that it does not burn. Remove pan from heat, stir in flour, cook one minute, whisking constantly. Return pan to heat, stir in milk gradually. Bring up to a simmer and cook for 1 minute, stirring constantly until thickened. Stir in salt, pepper, and pumpkin. Grate cheese and add to pot. Cook, stirring occasionally, until cheese is melted. When macaroni is done cooking drain in a colander. Add macaroni to cheese sauce and stir to combine. To serve, divide the macaroni and cheese between plates or bowls and season with a pinch of cayenne. Enjoy!